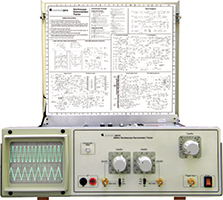 Scientech 2670 (New) Colour pattern Generator is designed for educational and service use. 14 Test patterns normally required for monochrome & colour TV installations can be easily selected. Scientech 2670 (New) generates patterns and multicolour bars. 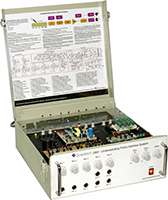 Patterns provide video and RF modulated signals for alignment. Colour bars are used for colour settings. Horizontal line, vertical line & circle patterns are used for Raster, Geometrically and Linearly adjustments. White pattern is used for white balancing. 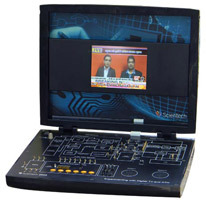 Scientech 2670 provides fixed composite video signals which helps the students for easy analysis. 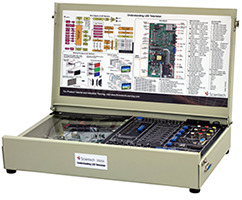 Scientech 2670, Colour Pattern Generator is an ideal platform to enhance education, vocational training, skills & development amongs our young minds.